Goats can either be domesticated or wild and are closely related to sheep. Wild goats are mostly found in Asia and Europe while the domestic goats can be found in the US, the Caribbean and surrounded areas. Goats has been used for a their hair, skin, meat and their milk. Children can also make their own goat crafts at home. One popular craft include a 3-Dimensional goat made from a printable goat template and toilet paper roll. 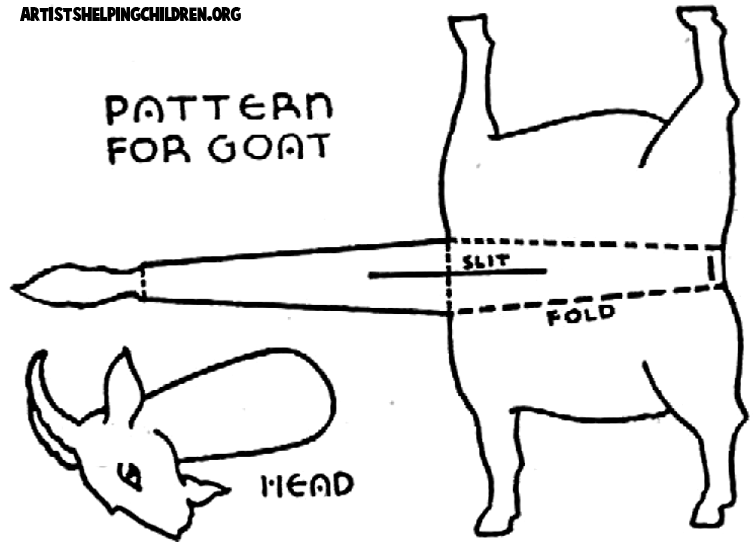 Children can also make a goat by drawing a goat on construction paper, color and cut it out. Then draw the goat horns on the white paper and cut it out. Finally glue the horns to the goat. To make the above goat mask, just print out our printable goat mask template and follow the included instructions. This is an easy paper cutting and folding project. 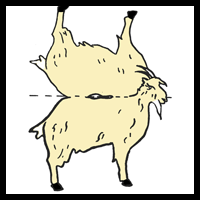 Just print out the following paper goat template and then follow the cutting and bending directions to make the above goat. 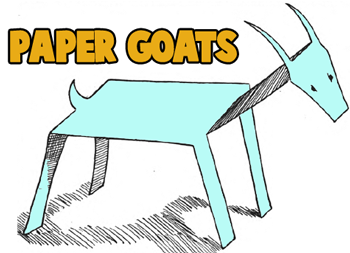 Here is another simple paper model goat that you can make. Here is the goat template to print out. You might want to color it ...otherwise, you can start cutting it out. There are 2 slits that you have to make as well. Then fold on the dotted lines and stick the tail and the head in the appropriate slit. And then when you have finished all of this, you can stand your goat up proudly. This is a very easy paper craft, just cut out the goat and fold it on the dotted line. 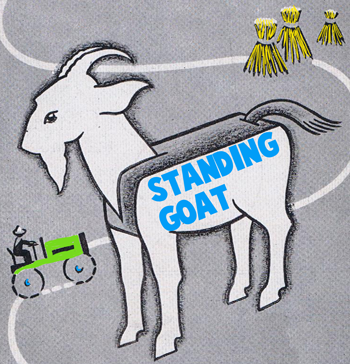 The goat will stand on his own. 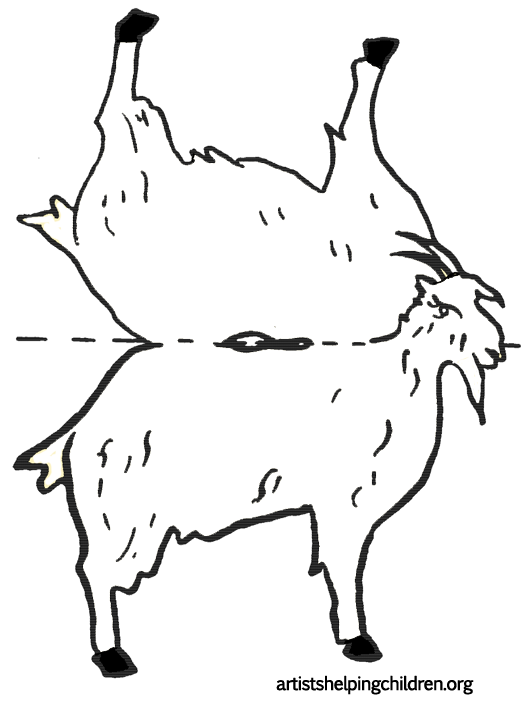 Just print out either a black and white goat (to color in yourself) or a colored goat. 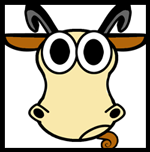 Choose a thumbnail picture above to choose which goat cartooning tutorial to try. 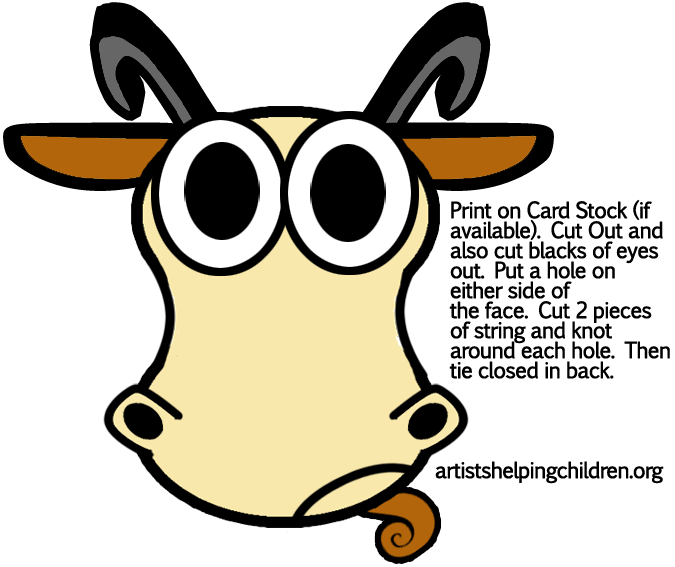 Cute Goat Craft Template to Make - Print the free goat template and follow the instructions to put it together. Goat Toilet Paper Roll Craft Making - Make a cool goat craft from a toilet paper roll, your printer, glue, scissors, crayons and a piece of paper. 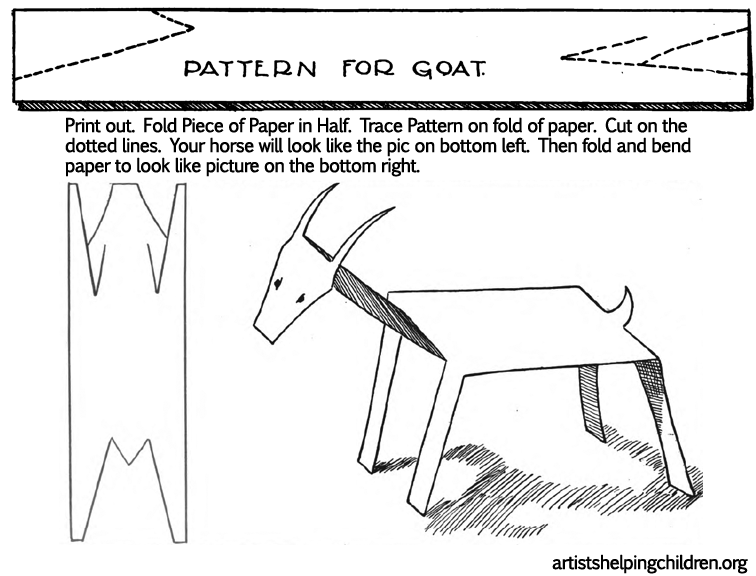 Goat Toy Printable Paper Making Instructions - Follow these instructions to make a goat paper model. Ibex (Wild Goat) Toilet Paper Roll Craft for Children - Make a wild goat (Ibex) craft from a toilet paper roll, your printer, glue, scissors, crayons and a piece of paper. One Great Goat Crafts Project - All your kids need to make a goat are construction paper, white paper, crayons, glue and a pair of scissors. Triangle Shapes Crafts : Goat in a Boat for Preschoolers - Children will learn about triangles while using the shapes to create a goat craft.